Daryl Johnson (Worcester Park, United Kingdom) on 23 January 2015 in Business & Industry. 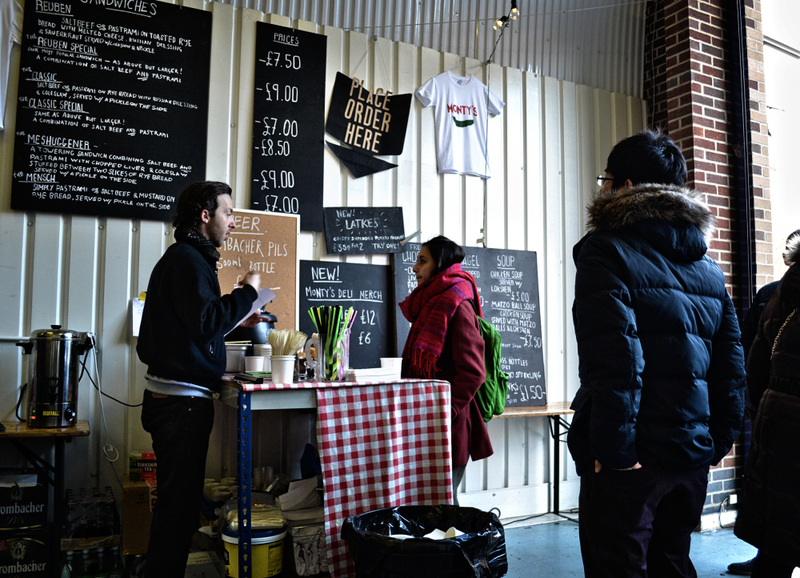 Maltby Street Market is a food market in south London, with some great stalls, bars and restaurants. One of the traders there is Monty's Deli, selling beautiful pastrami and salt beef sandwiches. I wish I could taste their food Daryl! Very nice capture. I assume you patronize this place...but not too often! Pastrami and salt beef sandwiches not good for cholesterol ! Right or wrong? I wonder if they offer a discount if you are wearing the shirt . . ? @Ronnie 2¢: Maybe, Ronnie... But do you think they'd make you buy the shirt first? PS Do you know this market...? There's a line so it must be good. The prices seem a little high but, this is London.